You guys! Target is amazing! Oh wait, we’ve known that for a long time…. ok, well, it bears repeating! I mean, is there anyone out there that is not a fan of Target? 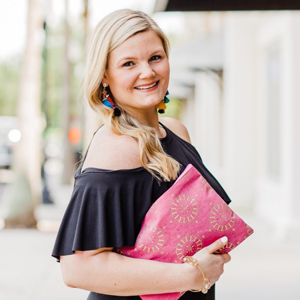 I’ve found some of the cutest things in the clothes and accessories departments over the past couple of weeks, and wanted to share them with you because I know you’ll love them too! 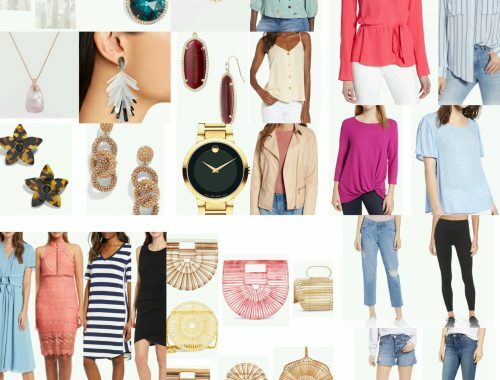 And now that spring is here, it’s the perfect time to refresh your wardrobe. 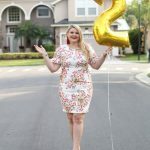 This is NOT a sponsored post, I just love sharing affordable finds with you guys! 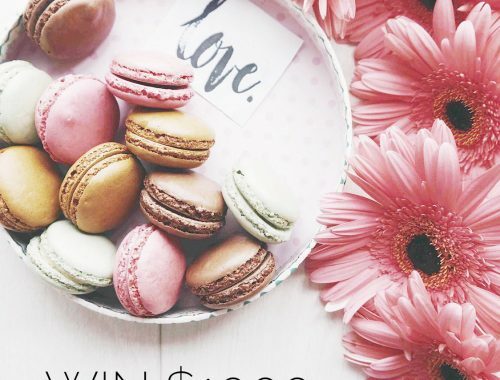 This post does contain affiliate links, which means I make a small commission if you purchase through my links, at no cost to you! 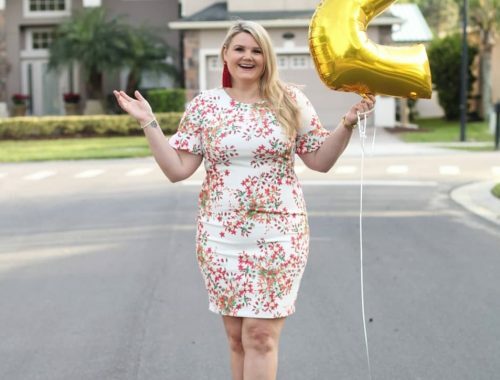 Who What Wear Wrap Dress ($34.99)- This is probably my favorite of them all! I thought it was pretty on the hanger, but really feel in love once I put it on! 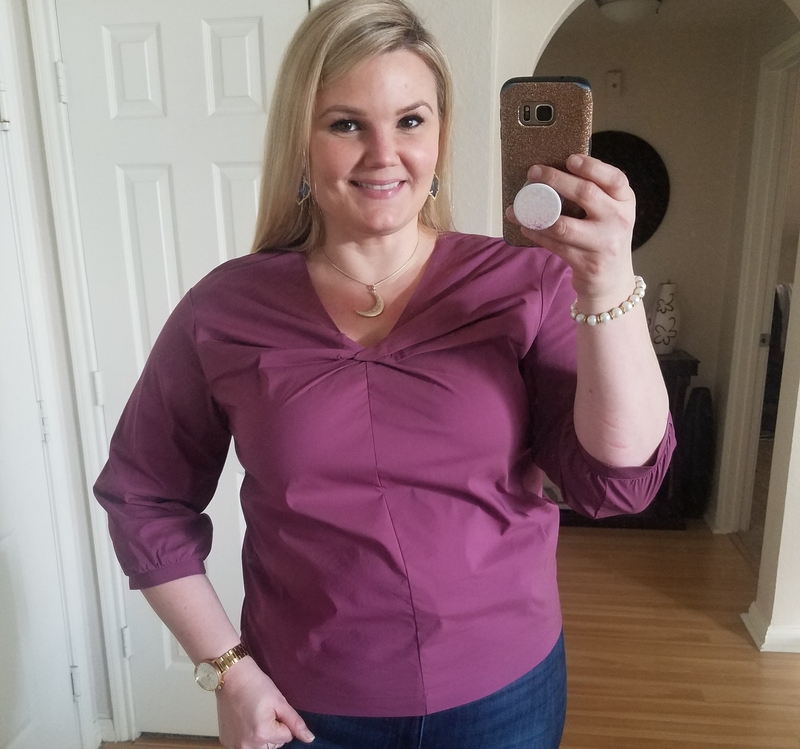 It is so flattering and comfortable, and I really like the length- I can definitely wear this to work without worrying about showing too much. I am 5’9″ for reference. This dress also comes in a black and white print if you want a more subdued pattern. Runs true to size. Universal Thread Thick Strap Heeled Pumps ($32.99)- My first pair of strappy heels for the season! Cute and comfortable, and will go with jeans or dresses. They come in blush, gray (shown), and taupe. They fit true to size. A New Day Crossbody Bag ($19.99)- I saw this bag in store a couple times before I bought it. I really did not need another bag! 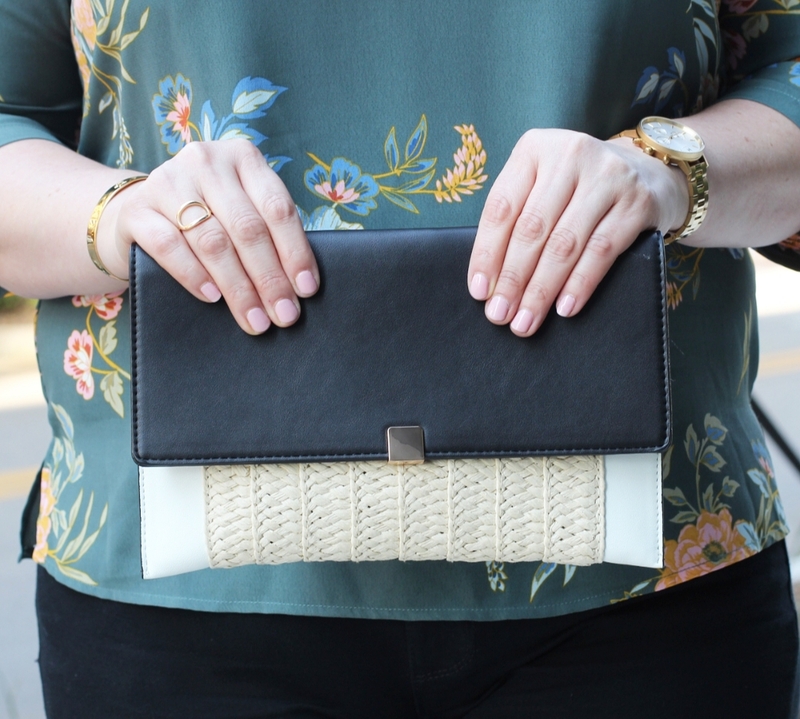 But this was just too cute and perfect for summer, and the strap is removable, so you can wear it as a clutch (as shown) or with the strap as crossbody (or one one shoulder too!). Too cute to pass up! 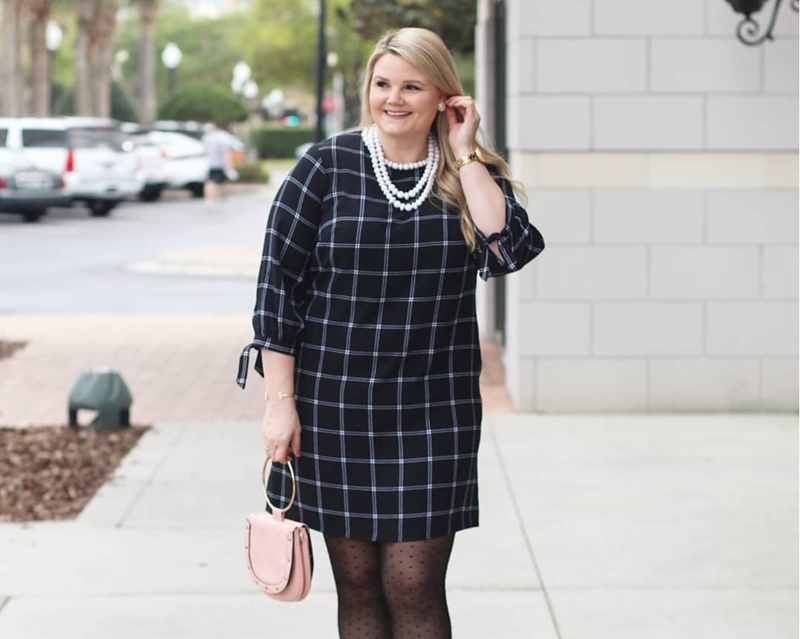 A New Day Plaid Crepe Dress ($27.99)- This dress is great if you like a looser fit through the tummy. Again, another great work dress! I sized up one in this dress because it fit a little tight through the shoulders and chest in my size. If you have a smaller chest/shoulders, you can probably go with your true size. This would also look super cute with a belt! 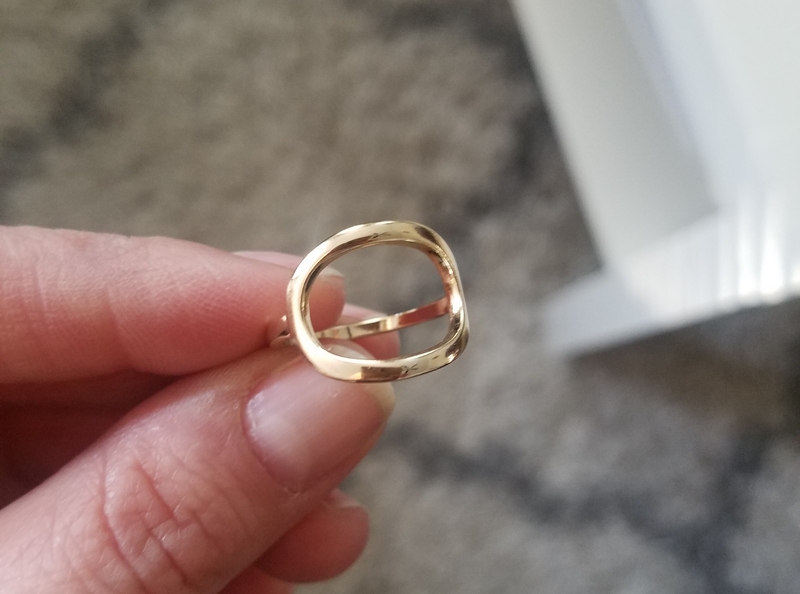 A New Day Gold Ring ($9.99)- I have been really into more simple rings lately, so when I saw this one, I grabbed it! You could wear this daily with any outfit. And at $10, so affordable! Universal Thread Tie Front Top ($24.99)- I actually wore this green top on St. Patrick’s Day for our bar crawl! I love it because it can be worn with jeans or shorts on the weekend, or with slacks or a skirt for work. My perfect combo! Who What Wear Vinyl Heeled Mules ($34.99)- Love, love, love these! I never thought I’d be into the ‘clear shoes’ trend, but when I tried these on, I was sold. Again, you can wear these with anything since they are neutral, and the heel isn’t too high so they are walkable. I went down a half size in these because my foot slid forward too much in my normal size. Prologue Twist Front Blouse ($22.99)- Another great work-to-weekend option! I’m always looking for cute tops for work, and this one is great. It also comes in white- I am definitely going to grab that too! If between sizes, you could probably size down in this one. Side note, if you haven’t checked out the Prologue line at Target yet, I highly recommend it! 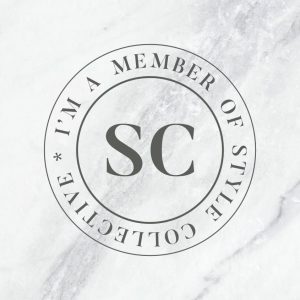 I believe it launched last year; it has a ton of work basics in unique cuts, mostly in neutral colors so it would be easy to build a capsule wardrobe. 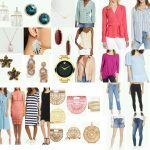 Tell me- what great fashion have you found at Target lately?